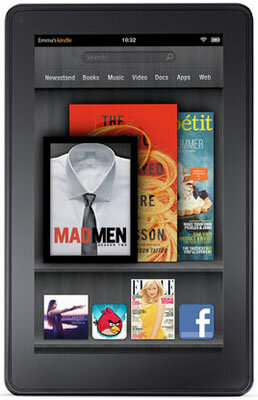 Following up on analyst speculation a week ago, China Times is now reporting that Amazon is indeed exploring alternative size and manufacturing options for the next wave of Kindle Fire tablets set for release sometime this summer. Although the specifications haven’t been finalized according to the report, a 10-inch prototype tablet from Foxconn could be under consideration. Supply chains are said to be shipping sample parts next month with mass production to start in May or June. Such a schedule could set Amazon up for a launch sometime this summer or in the fall. Based on an iSuppli teardown of the Kindle Fire a few months ago, we know that Amazon is selling their current tablet at a small loss. As such, profit from the iPad rival comes via Amazon’s vast content library which is something that the company would like to address with their next release. In contrast, Apple’s iPad 2 has an estimated total bill of materials of $323.25 for a 32GB CDMA model which the company sells for $729. China Times says that in an effort to reduce manufacturing costs, Amazon will be hand-selecting and approving components for the Kindle Fire’s successor(s). Engadget notes that this task was previously done by Quanta, one of several part suppliers that Amazon utilizes. It’s unlikely that Amazon would use cheaper quality or slower components in their next device, but perhaps they can negotiate better supplier pricing or find equally as good components for less.